Kindred 18 Ga UM handwash basin -11" X 19" X 4-1/2"
Premium grade 18 gauge stainless steel vanity basin. Sink features large rectangular shape, rear drain position for more storage below the sink, silk finish on rim and bowl for bright and shiny good looks, without sacrificing on ease of cleaning, front overflow assembly, and 1.25 waste hole. Waste fitting is not included. 18 Ga UM handwash basin -11" X 19" X 4-1/2" Premium grade 18 gauge stainless steel vanity basin. 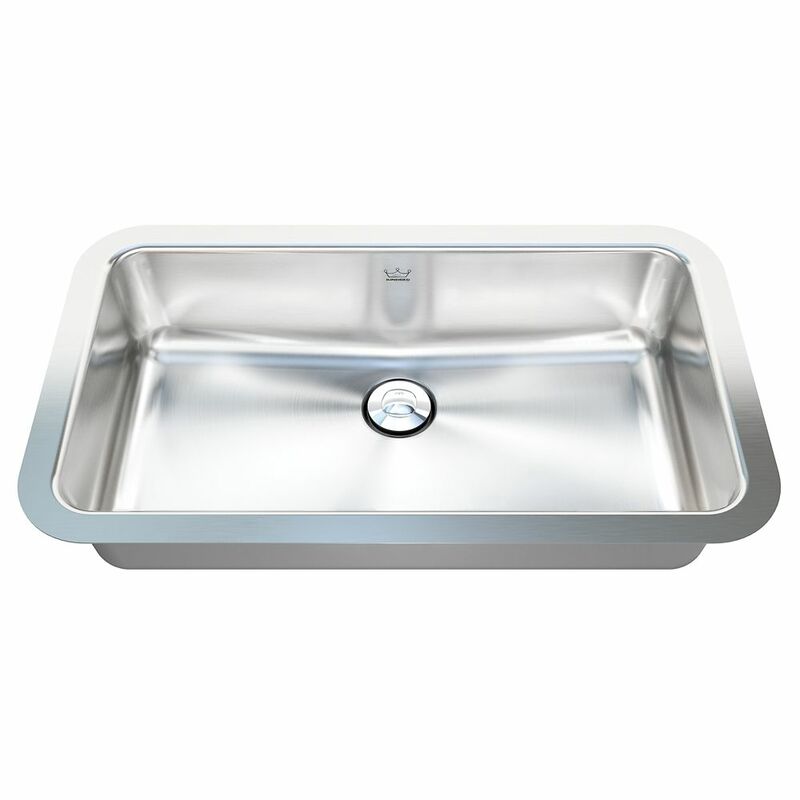 Sink features large rectangular shape, rear drain position for more storage below the sink, silk finish on rim and bowl for bright and shiny good looks, without sacrificing on ease of cleaning, front overflow assembly, and 1.25 waste hole. Waste fitting is not included.